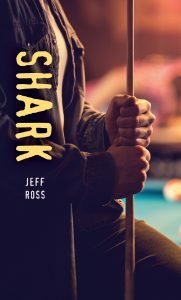 Shark: Seventeen-year-old Mark “Shark” Hewitt is good at playing pool. Really good. When he, his mom and sister move to a new town, Mark immediately seeks out the local pool hall. He loves to play, but even more than that, he just loves hanging out with the regulars. It reminds him of good times with his dad, who is no longer in the picture. When one of the patrons notices Mark’s natural gift for the game, he forces Mark to use his talent for profit. Now Mark has to find a way to get out from under this sleazeball’s thumb and protect his family. How do you usually begin writing your stories? Normally a dilemma presents itself to me. Some moral choice that I’ve heard of people going through. I think about how I would deal with such a situation. As I think of this, a character will often present him or herself. The fictional world of this character grows from here and then with this difficult choice in place, the story unfolds. What planning or research did you do for your book? This book began right after my family returned from a trip where there was plenty of rain and bugs and a pool table in the basement of the house we were renting. We played a lot there and then continued to play when we returned home, only we had to go to the local pool hall. After spending hours in the pool hall, I began to consider the lives of the regulars. Other than this, I played pool and watched a few videos to get a better idea of what good shots look like and how difficult some combinations would be. Do you have any advice you would give to an aspiring writer? Make certain the story you decide to write is one you REALLY WANT TO WRITE, and then make a plan so you know what happens. Then think about it. Being a writer means finishing things. Starting is usually pretty easy, finishing never is. What’s the most prized book on your bookshelf? What are your favorite ways to procrastinate? Why? Video games and skateboarding. I’ll often sit down, look outside and think, ‘It’s not going to be sunny every day. I should get to the park while it’s empty and not too hot.’ And then not come home for three hours. It’s easier to write in the winter because it’s cold out and the closest hill to snowboard on is a half hour away. Do you keep books after you’ve read them, or give them away? Do you borrow books from your local library? Keep. Give away. And borrow. I borrow a lot of audio books for my long commutes. What types of conversations do you hope will come out of your book? Shark is about how people use and manipulate those who are vulnerable. The best discussions from Shark would be about how people use positions of power to take advantage of others and how this can be stopped. 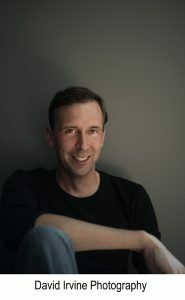 Jeff Ross is an award-winning author of several novels for young adults. He currently teaches scriptwriting and English at Algonquin College in Ottawa, Ontario, where he lives with his family. For more information, visit www.jeffrossbooks.com.Follow him on Twitter @jeffrossbooks.